Hauser & Wirth’s 2018 Summer Film Series kicks off with Sadie Benning’s experimental ‘Flat is Beautiful’ (1998), selected by Ellen Gallagher. The film centers on a gender nonconforming tween grappling with their identity in a working-class Milwaukee neighborhood. 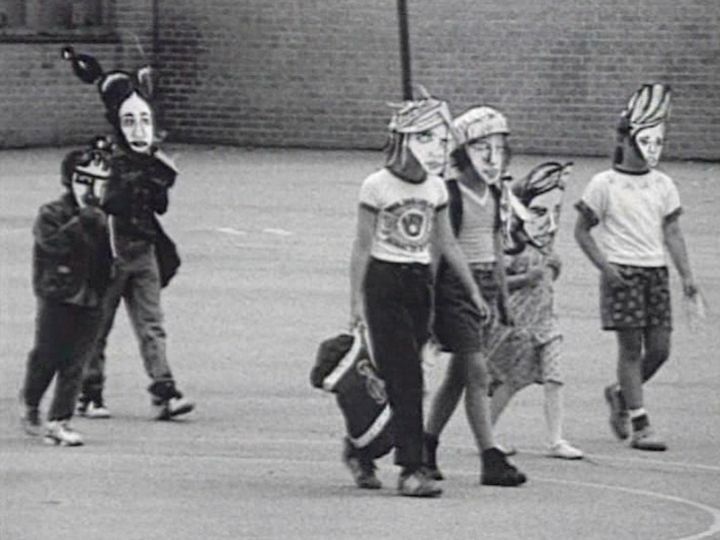 Shot in Super-8 and Pixelvision, ‘Flat is Beautiful’ incorporates masks, animation, subtitles, and drawings to confront the loneliness of living between masculine and feminine in a culture obsessed with defining gender difference. Offering dramatic views of New York’s West Chelsea Arts District and the Hudson River, Hauser & Wirth’s rooftop features works by artists from the gallery’s roster, including a special installation of Martin Creed’s ‘Work No. 2198,’ selected by the artist for the space. An assortment of drinks and light snacks will be available on the roof from the Roth Bar during each of the screenings.